This bar brings together the calming properties of lavender with the refreshing and rejuvenating qualities of rosemary. This recipe yields an all natural bar free of exfoliants, leaving just a smooth rejuvenating clean - delivered through a rich bubbly lather. While most essential oils do yield some base aroma, as with all our recipes, these are very subtle to the senses, by no means an overly fragrant bar. The tones are subdued and mellow, just like this soap. 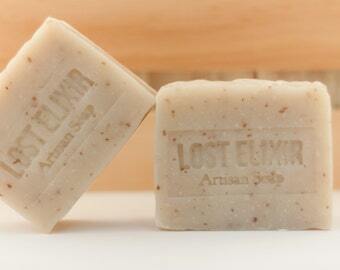 Understated and thoughtfully balanced - a perfect soap for the gents and ladies alike. All around, this is a really well-balanced recipe and a batch that we've fallen in love with. The perfect bar to meet you for your morning shower :) Consider also using this soap as a shampoo bar for a rich lathering experience that will leave your hair feeling clean and deeply nourished for the day ahead. All our soaps are made in very small batches using the traditional cold process method of soapmaking. 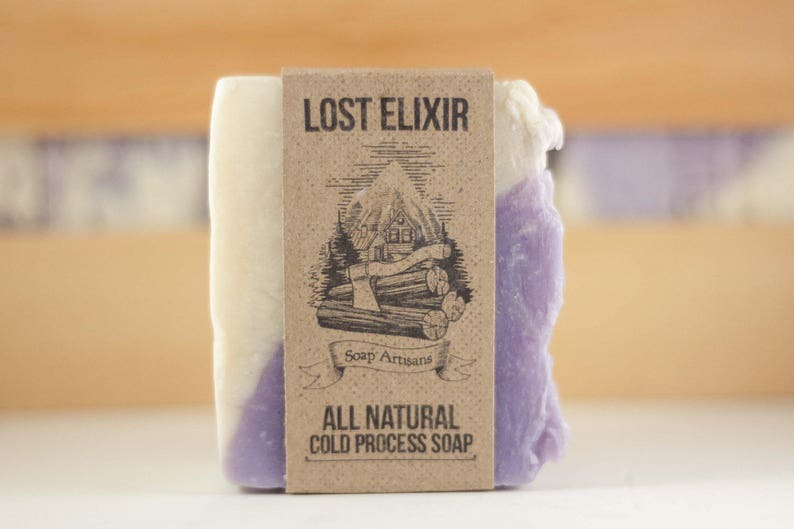 No fragrance oils or artificial colorings or additives are included in any of our Lost Elixir soaps. 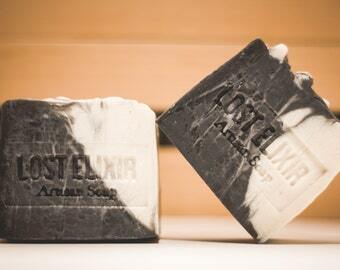 Five stars every time, love all the LostElixir products! Beautiful soap, really nice packaging, and fast shipping. Haven't used yet, but smells nice. Shipping was quick and I especially love how large the bar is. Hope it lasts for awhile! Love this soap. It really is lovely. And the smell is mild so if you are sensitive to perfumes and scents don't worry. Purchase in confidence!